Perhaps this is the best thing that can be said of an environmental leader: “…Browner was an in-your-face, if you will, environmental activist, and she could cut right through the fluff of any discussions and want to get to the core of what could be done for the environment.” Sweet! That in-your-face conservationists isCarol Browner. She was born on December 16, 1955, on the edge of the Everglades. Her parents, both college professors, gave her a love of nature. She would often ride her bike to the swamp and hike there—she and nature were linked at the hip. But unlike many nature lovers, she wasn’t educated in biology or ecology, rather taking degrees in political science and law from the University of Miami. Carol Browner being swore in as EPA Administrator, January, 1993 (USEPA Photo by Eric Vance. Browner entered politics soon after, serving as general counsel to a Florida legislative committee. She moved on to DC, working for Citizen Action on grassroots efforts that often included environmental issues; a special interest was the effect of pollution on children. She became the chief environmental aide for a Florida senator and then for Tennessee Senator Al Gore. When Bill Clinton was elected president in 1993, his vice-president, Al Gore, convinced Clinton to name Browner as EPA Administrator. At 37 years of age, she became the 8th—and youngest—EPA leader. She remained in office for the full two terms of Clinton’s presidential tenure, leaving in 2001 as the longest serving EPA Administrator in history. AT EPA, Browner found both favor and disfavor with both the environmental and business communities (perhaps a reason for her longevity). She championed strengthening air and water quality standards, raising requirements to the most stringent thus far in the country’s history. At the same time, she recognized that the regulatory apparatus was too complex and re-organized EPA to make it more efficient and user-friendly. She believed in common sense as a touchstone for environmental protection. 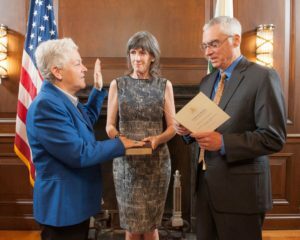 At the end of her EPA appointment, she returned to the private sector. But President Barack Obama called her back to the White House to be his energy and climate-change “czar.” She served for two years. 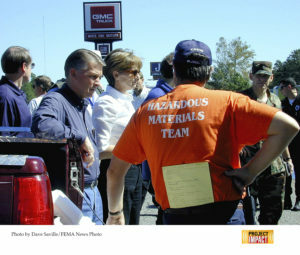 During that time, she was the principal face of the White House during the BP oil spill in April, 2000, earning kudos for her calm, professional and determined approach. Encyclopedia Britannica. Carol Browner, American Attorney and Politician. Available at: https://www.britannica.com/biography/Carol-Browner. Accessed December 2, 2018. Environmental Protection Agency. 1999. Carol M. Browner. EPA History. Available at: https://web.archive.org/web/20081219170524/http://www.epa.gov:80/history/admin/agency/browner.htm. Accessed December 2, 2018. Van Oss, Alex. 1993. New EPA Chief. Living on Earth, PRI’s Environmental News Magazine, January 8, 1993. Available at: http://www.loe.org/shows/segments.html?programID=93-P13-00002&segmentID=1. Accessed December 2, 2018.